Councillor Mary Smith and Councillor Jackie Burns in South Lanarkshire have been driving forces behind making the Holocaust Memorial Events in South Lanarkshire such high profile, important events every year. Young people across South Lanarkshire join together annually to make their voices heard in the hope that they can make a difference to society. 25000 young people in South Lanarkshire have been involved in memorial events this year. Quite remarkable. The key message is course that we remember victims and survivors of the Holocaust and subsequent genocides across the globe such as in Cambodia, Bosnia, Rwanda and Darfur, whilst at the same time using all our voices to speak out against discrimination and exclusion in our society. In Rutherglen and Cambuslang, schools take part in various events, learning opportunities throughout the year and during Holocaust Memorial Day. 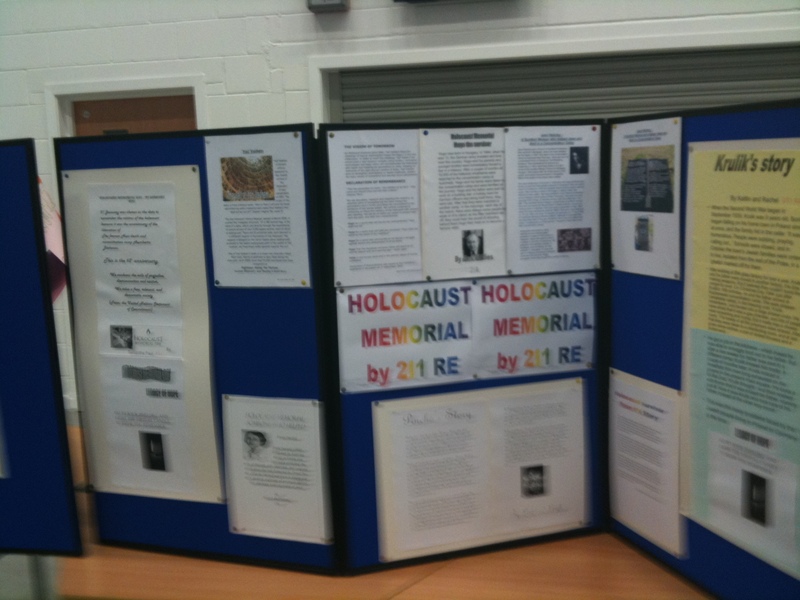 Schools also take place in an annual Holocaust Meorial Event in the area. This year’s was held last night. Trinity HighSchool were this year’s hosts. 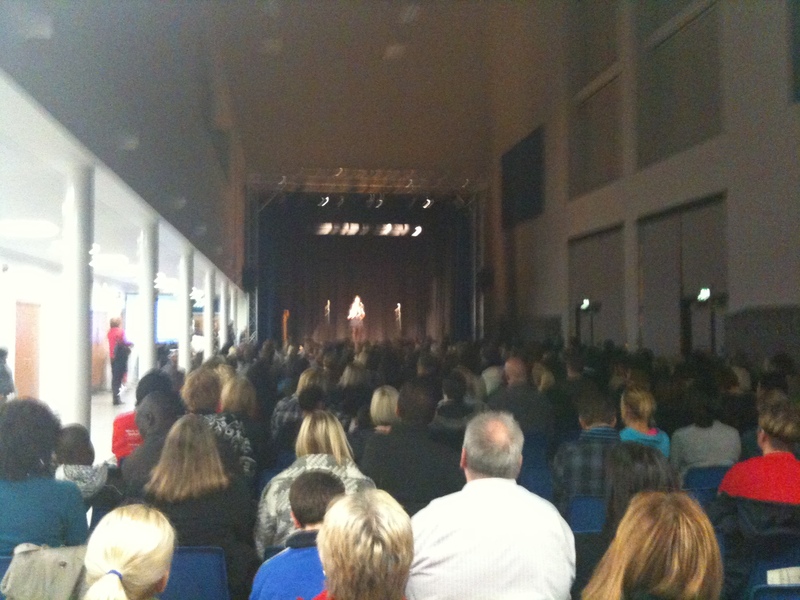 An audience of around 400 invited guests attended. 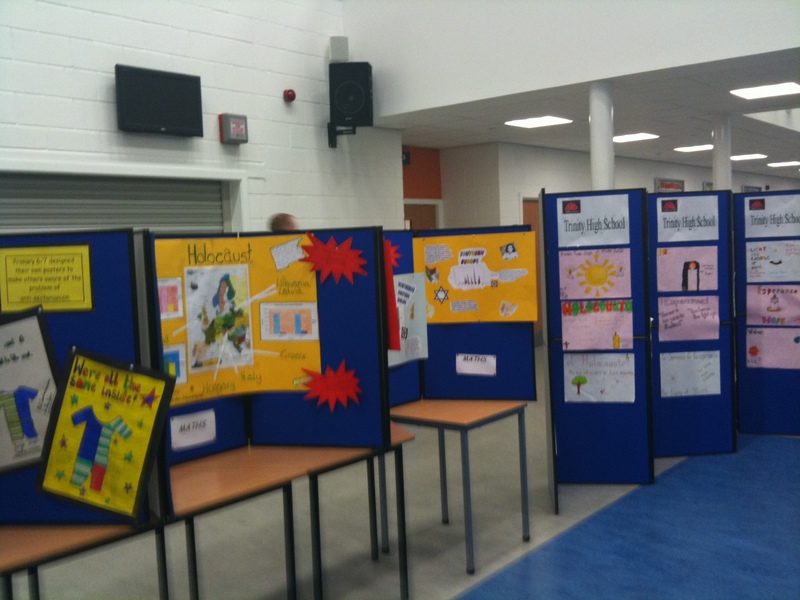 They browsed the art work on display from a range of our schools reflecting the theme, legacy of hope. 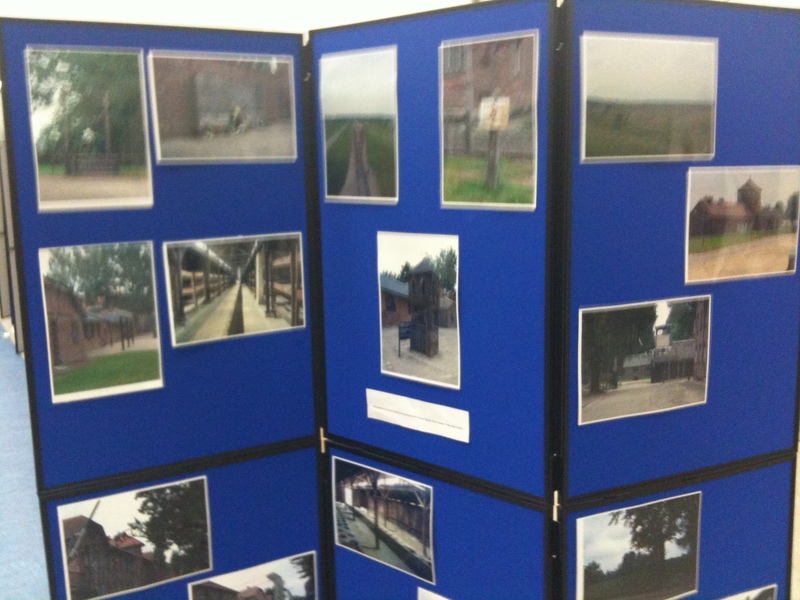 These included anti-sectarianism projects, a reflection of the five senses viewed through the perspective of the Holocaust and photographic work from visits to Auschwitz by pupils. 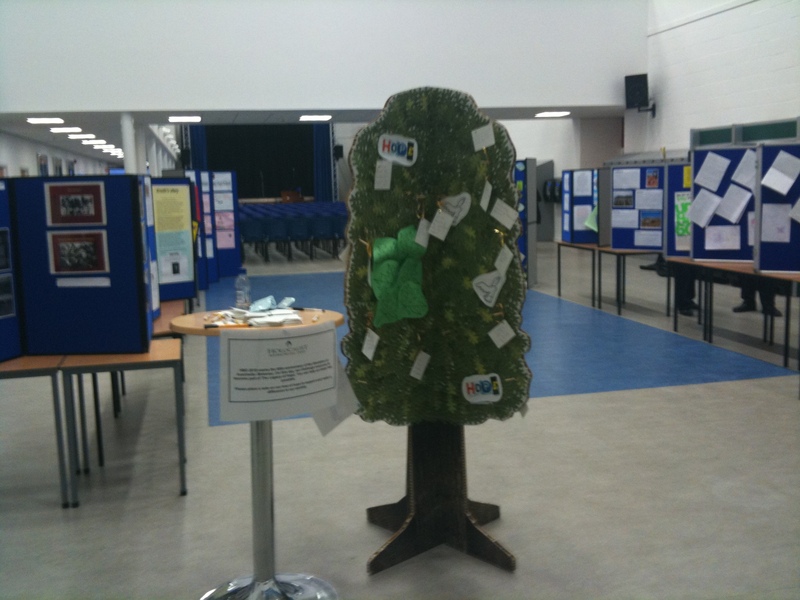 Those attending put very touching thoughts onto our tree of hope where they pledged their support in making a positive difference to our society. Many of our local schools were involved in this year’s event – with young people from Burnside, St Columbkille’s, St Mark’s, St Cadocs, Cairns, Westcoats, Calderwood, Loch and St Anthony’s Primaries and Cathkin, Stonleaw and Trinity High all performing. 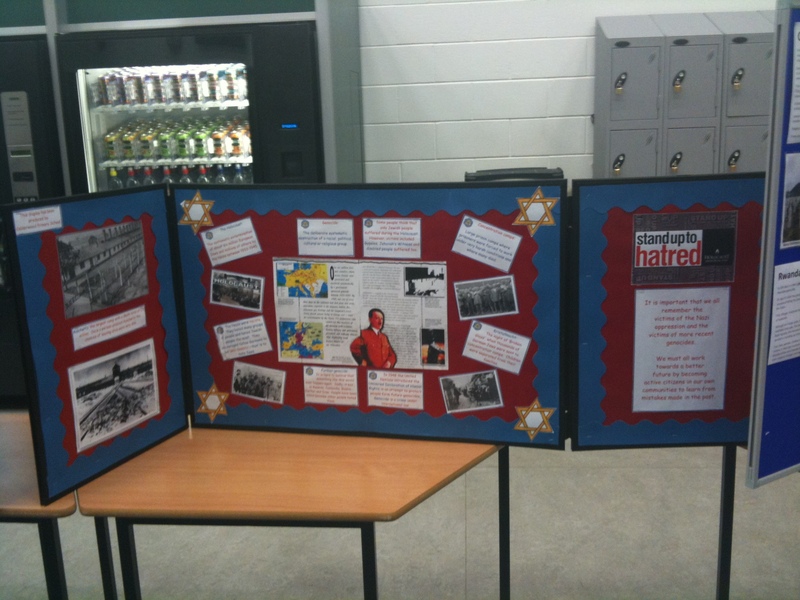 Each year due to the scale of the event different schools take part in presenting. The quality of the monologues, songs, presentations and dramas was superb. I found the reflections on their recent visit to Auschwitz-Birkenau by senior Trinity pupils particularly touching along with work performed around survivor monologues. The theme was legacy of hope and everyone commented on the joy of watching some of our younger children from local primaries oozing confidence and hope for the future whether reciting “Is there for honest poverty?” or singing “All you need is love”. Always a special evening, last night gave us all much to think about. The picture below gives you an idea of the scale of response the local community gives in supporting this event.